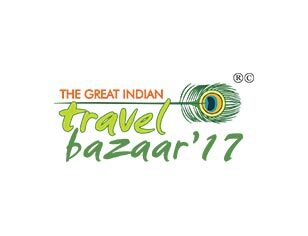 Jaipur, 22 April: The 9th edition of the Great Indian Travel Bazaar (GITB) 2017 will be held in Jaipur from 23 April to 25 April. While the inaugural session will be held at Hotel Lalit on 23 April – the pre structured meetings and exhibition will be held at the Jaipur Exhibition and Convention Center (JECC) in Sitapura. The Rajasthan Minister of State for Tourism, Art and Culture, Smt. Krishnendra Kaur (Deepa); Joint Secretary – Tourism, Government of India, Mr Suman Billa; Additional Chief Secretary, Tourism, Government of Rajasthan, Mr. NC Goel and Past President FICCI and Chairperson FICCI Tourism Committee, Dr. Jyotsana Suri will also be present at the inaugural session. Over the years GITB has emerged as one of the most important travel marts for inbound tourism. The two-day event will see fruitful networking giving further boost to the travel trade business in the State. In a span of 9 years GITB has gone from strength to strength and is now a force to reckon with in the inbound tourism marts. This year there will be over 10,800 B2B structured pre-fixed meetings between buyers and sellers over 2 days. As many as 275 leading inbound foreign tour operators from around 53 countries are participating as foreign buyers. Similarly, 288 Indian sellers — among whom are Tour Operators, Hotels, Resorts, Spa & Wellness, International Airline and State Tourism Boards – will be partaking in the bazaar. A special feature of the GITB this year will be the release of two reports — FICCI – MRSS Knowledge Paper on “Resurgent Rajasthan – Revelation Beyond the Obvious” and FICCI – Yes Bank Knowledge Paper on “India Inbound Tourism – the Next Growth Trajectory” during the inaugural session. GITB has reinforced India as a world class tourism destination with exclusive focus on inbound tourism. Apart from Rajasthan, as many as 8 State Governments will be showcasing their tourism potential. These states are Gujarat, West Bengal, Maharashtra, Madhya Pradesh, Chattisgarh, Tamil Nadu, Goa and Jammu & Kashmir.